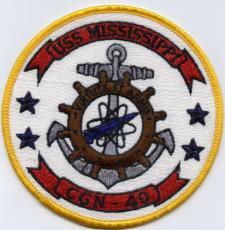 The official crest of the USS MISSISSIPPI was designed by Mark Bridges, from Florence, Mississippi. The crest incorporates the state colors: Red, white and blue, and the state motto "Virtute Et Armis"
(by Valor and Arms). 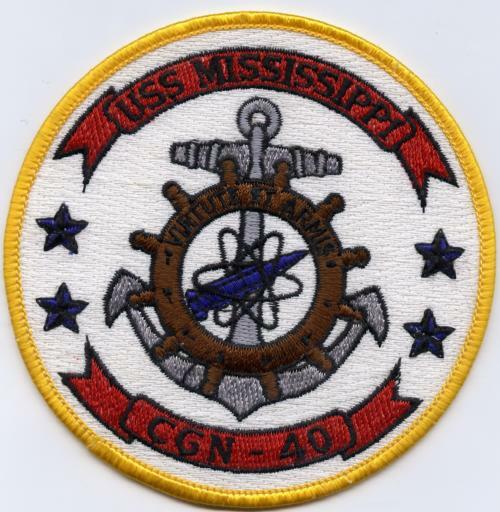 The four stars symbolize the four ships to bear the name MISSISSIPPI. traditional symbols of those who serve at sea.